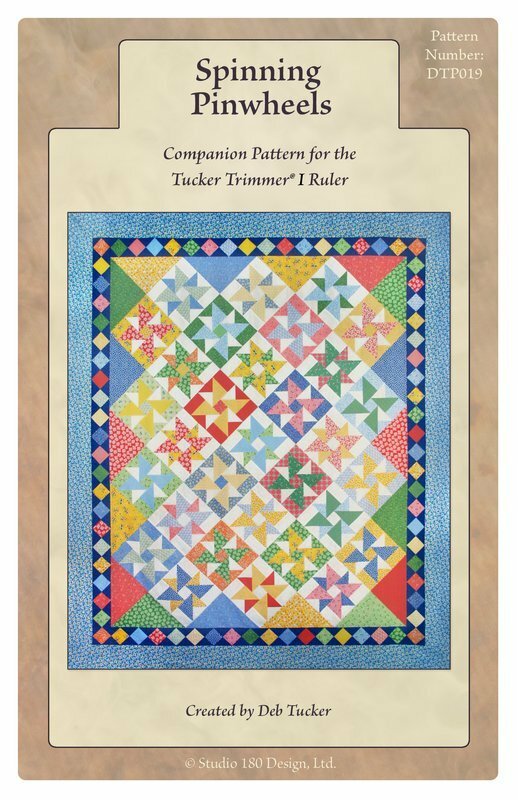 A charming project that can be made with a fat quarter collection and Deb’s Tucker Trimmer I tool. Each set of pieced units actually creates two blocks at the same time. The pieced border allows you to use up lots of additional fabric bits and pieces.